Two old former BJP politicians have come to the rescue of the Congress president and made a ferocious attack against the Modi government for the Rafale deal. They have alleged that the manner in which the order for the Rafale fighter was suddenly changed was a gross violation of mandatory procedures. The dropping of the public sector Hindustan Aeronautics Ltd (HAL) from the process and “the incomprehensible induction of a private company that has absolutely no experience in the field of aerospace manufacture” had convinced them that there is “a major scandal, gross misuse of office, and monumental criminal misconduct.” They added that it imperils the security of the country. Already on July 20, during a no-confidence motion, the Congress president delivered a fiery speech ending with a great theatrical move (Rahul Gandhi went to hug the Prime Minister). The scion of the Gandhi dynasty hinted that there was something fishy in the Rafale deal. Remember the facts. On 23 September 2016, the then French Defence Minister, Jean Yves Le Drian, accompanied by Eric Trappier, Chairman, Dassault Aviation, signed with India a 7.87 billion Euro deal (about Rs 59,000 crore) for 36 Rafale fighter jets. The basic cost, armaments, offsets and service value had been finalised a few days earlier; it was included in an IGA document covering several-thousand pages. It is this document which is secret. Why? Because it describes in detail the configuration of the fighter planes and their armament as well as other clauses of the contract such as maintenance of the Rafales and the training of the pilots. The fact that it took nearly a year and half to negotiate these details shows the complexity of the deal. On 9 April 2015, when an Indian delegation visited Paris ahead of the Prime Minister’s arrival, the French side was informed of Delhi’s decision to purchase 36 planes ‘off-the-shelf’. It was not really ‘off-the shelf’ as the aircraft had to be tailored to the needs of the Indian Air Force (IAF) which is responsible to defend two fronts at the same time (the Chinese front being rather complex with the altitude of the Himalayas, the length of the border and the often better-equipped People’s Liberation Army). India placed the order primarily due to the IAF’s ‘critical operational necessity’. The complexity of the IAF’s requirements delayed the process for months. It is these requirements which cannot be made public. Can you image Indian politicians (or ‘experts’) starting to publicly discuss the pros and the cons of such or such equipment or missile? It would certainly provide India’s enemies with good indications on the IAF’s tactical plans. The process has been a long one and the sufferer is the IAF. It took 15 years to arrive at the 2016 signature. India is probably the only country in the world which has such a cumbersome system for defence procurement. While the Congress president compared the Indian Rafale deal with the purchase of 36 Rafales by Egypt, he forgot to mention that in the Egyptian case, it was literally planes ‘off-the-shelf’. It is indeed difficult to compare the price of one Rafale to another Rafale; if you walk into a Mercedes showroom, you will first be explained that there are different models and even within the same model the price can greatly vary. An initial Request for Information for 126 Medium Multi-Role Combat Aircraft (MMRCA) was issued in 2001; the Request for Proposal was only publicised in 2007 and then the ‘complications’ started. It soon became clear to Paris and Delhi that an immediate transfer of technology was far too ambitious. Further, Dassault was not ready to take ‘full responsibility’ for the 108 fighters to be manufactured in India by HAL. The negotiations had reached an impasse when the Indian Prime Minister decided to go for 36 planes as a stop-gap solution. The politicians are unable to understand that the IGA and the offset clause are two separate things. The Reliance group has nothing to do with the IGA; it is only involved in the offsets, as the 36 aircraft will be fully manufactured in France and delivered directly to the Indian Air Force. 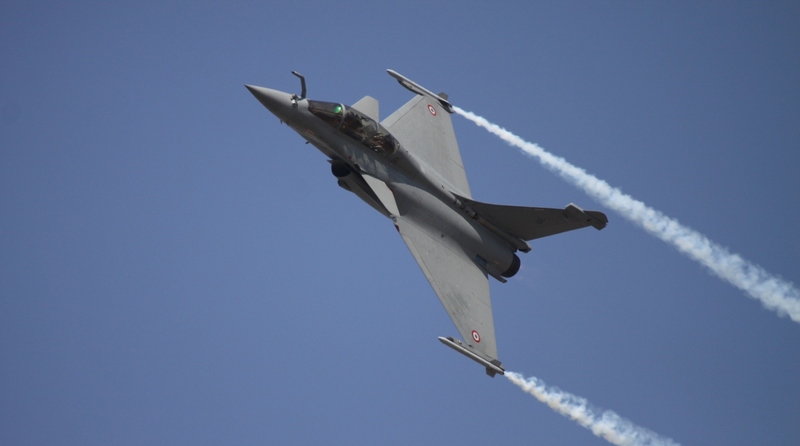 While normally a defence contract carries offset obligations equal to 30 per cent of the contract value, in the Rafale case, Delhi has managed to obtain offsets equal to 50 per cent of the deal. The politicians should congratulate Modi as Dassault will incur additional expenditure to fulfill its offset obligations. The politicians were probably never explained this. 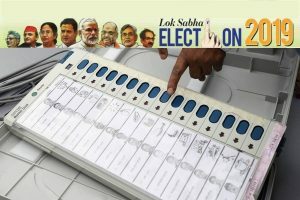 It is the foreign vendors and not the government which select the IOPs that they are comfortable to work with. Already a joint production facility between Dassault Aviation and Reliance to fulfill part of the offset obligation has been set up in Nagpur where the Joint Venture has shortlisted a large number of vendors, mostly small and medium-sized enterprises, to be part of an indigenous supply chain for the Rafale. It remains that this type of wild accusations can only harm the Indian Air Force and will ultimately hamper the Armed Forces’ modernisation programme. The politicians are not bothered.